Wow, less than two months between posts from me--shocking, I know! It's been a great summer with lots of gorgeous days and cool nights. We have wonderful memories from our trip to Germany and Vienna at the end of June although it took me quite a bit of July to get back into a routine. I've been doing a little bit of quilting and little bit of stitching most days along with a lot of reading. 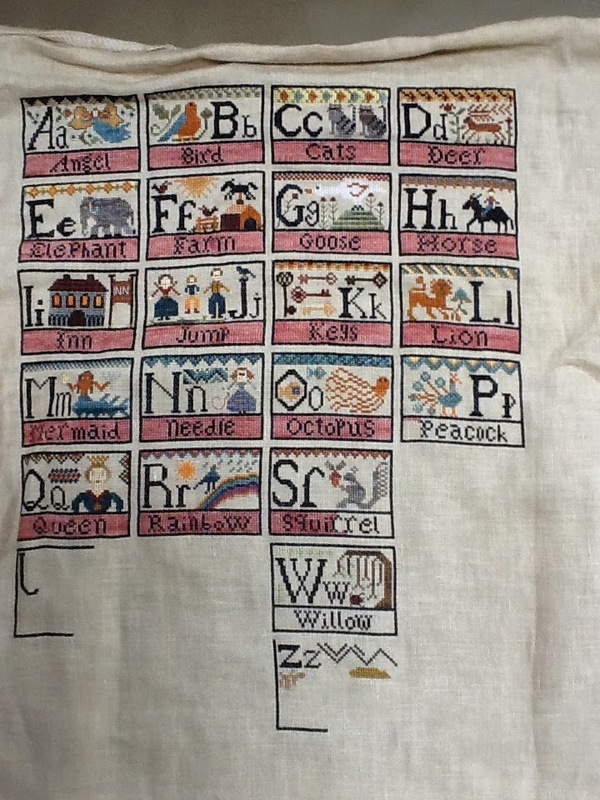 In my stitching life, I've been focusing on one project, Carriage House Samplings Alphabet, and here's my progress to date. I'm hoping for a finish in the next two weeks so I can show this off at my guild meeting. It seems I've been on a bit of a roll with finishes the past month or so, and have one finished quilt as well as two completed needlework pieces to show for my efforts. and back of a baby quilt I sent up to my daughter to give to her boss and his wife who had a baby in June. The top was done a few years ago and is a Schnibbles pattern made from a charm pack. I originally made it for my nephew's baby. 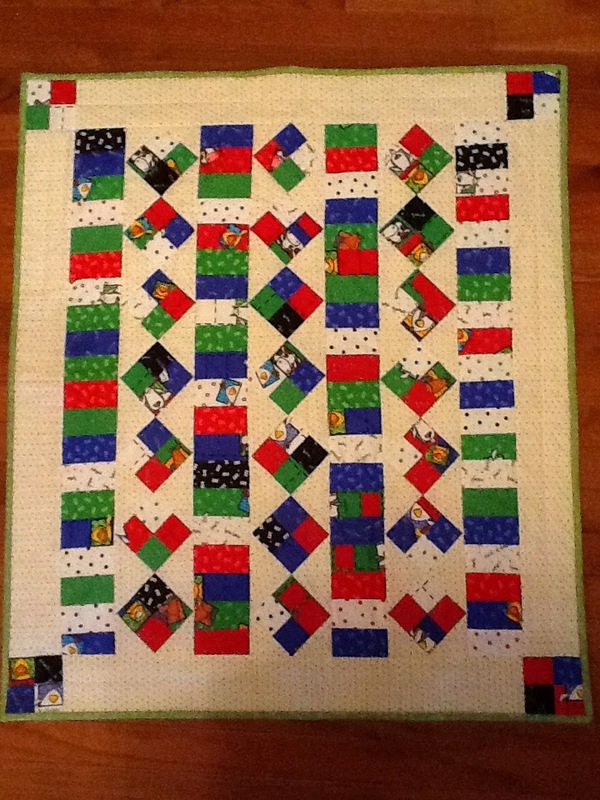 When I got it done, I thought it looked more like a "boy" quilt and my nephew and his wife had a little girl. So the top has been waiting in the wings and after an afternoon sandwiching the quilt and doing simple "stitch in the ditch" quilting, it went off to keep little Charlie warm. The parents live on a farm so this was the perfect quilt.